WOODS HOLE — Without prompt action to reduce entanglements in fishing lines, North Atlantic right whales could disappear from the planet over the next two decades, scientists say. In response, scientists here on Cape Cod are proposing a novel way to save the species — one that many New England lobstermen fear could destroy their livelihoods. At a recent meeting with a host of skeptical lobstermen, scientists at the Woods Hole Oceanographic Institution presented the concept of ropeless fishing, a nascent technology that eliminates the need for the long, taut ropes that extend from millions of traps at the bottom of the ocean to their buoys at the surface. These ropes have killed many of the docile mammals. Over the past year, at least 18 right whales have died — a grave blow to a species with only about 450 left in the world and just 100 breeding females. Scientists fear they’re not reproducing fast enough and could face extinction as soon as 2040. “I want to see a profitable, sustainable lobster industry that’s not abusive to the animals,” said Michael Moore, director of the Marine Mammal Center. 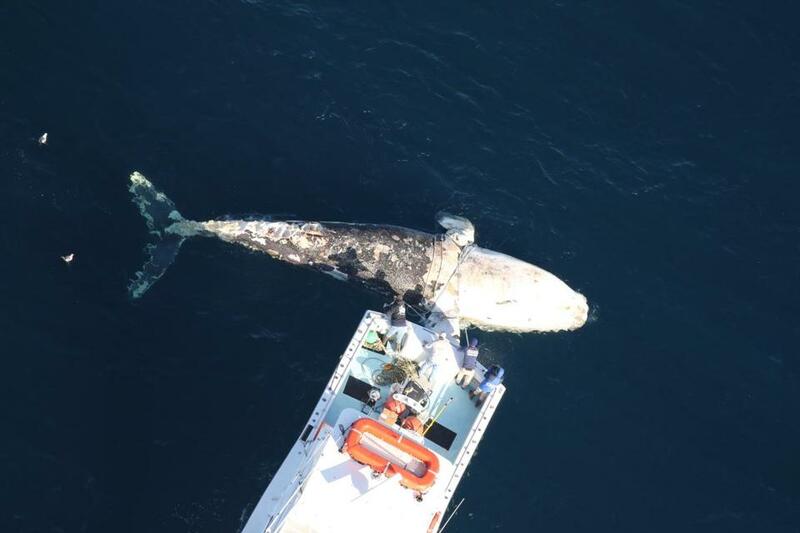 The problem, Moore and his colleagues say, is that most fatalities appear to be the result of right whales becoming entangled in fishing lines. In a federal survey of right whale deaths between 2010 and 2014, scientists found that 82 percent died as a result of entanglements. The rest died from ship strikes. Regulators have succeeded in reducing the death toll from ship strikes by moving shipping lanes away from areas where right whales travel and requiring large ships to reduce their speeds at certain times of the year, scientists say. But measures to reduce entanglements — such as requirements that lines connecting traps sink to the seafloor or lines use weak links — have largely failed. If regulators are serious about protecting the whales, scientists say, they have essentially two choices: close off more fishing grounds for longer periods to lobster — a devastating prospect for thousands of lobstermen from Nantucket to Downeast Maine — or find a way to fish without ropes. But after listening to scientists at the daylong seminar this month in Woods Hole, many of the lobstermen came away unconvinced or deeply concerned. While they acknowledge that their lines pose dangers for right whales, they dismissed ropeless fishing as technically and financially impractical. Arthur Sawyer, a lobsterman from Gloucester who serves as president of the Massachusetts Lobstermen’s Association, offered a dim appraisal of its prospects. For generations, lobstermen have marked their territory with brightly colored buoys that connect to as many as 15 traps, groupings called trawls, which they scatter along the seafloor. When they come to collect their catch, they grab the buoy and connect the ropes to a hauling device, hoisting the traps one by one. A tug boat last month towed a right whale carcass to shore in the Virginia Beach, Va., area, where researchers planned to perform a necropsy to determine the cause of its death. Scientists envision at least two ways traps could be gathered without ropes. In both cases, lobstermen would bring them to the surface remotely, using a wireless device aboard their boats to send an acoustic signal to a receiver connected to their trawls. In one method, the signal would inflate a spool filled with rope that ascends to the surface, allowing the lobstermen to haul their traps similarly to how they do now. In the other, the signal would activate inflatable bags attached to each trap or at the end of the trawls. 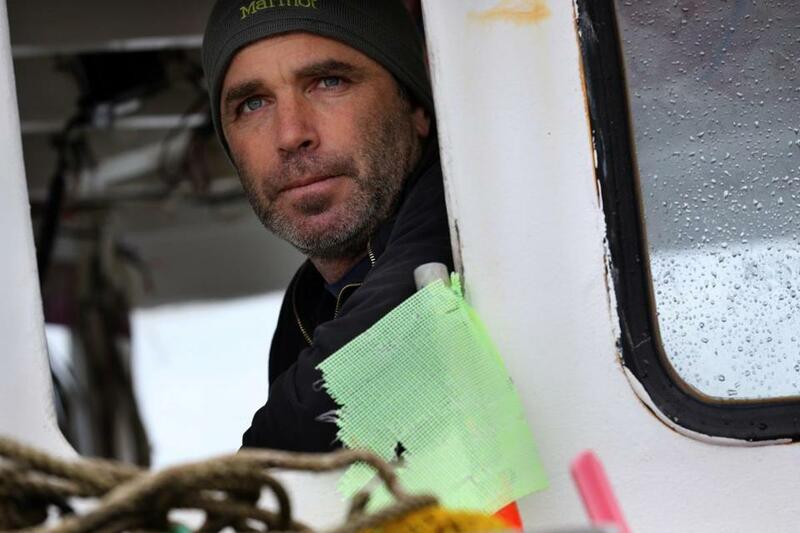 Sawyer and other lobstermen say both methods have flaws. They worry about what happens if the transmitters fail, stranding their gear on the seafloor; how they would mark their territory without buoys; and how thousands of lobstermen would learn to use the high-tech equipment. Most importantly, they say, the equipment would be prohibitively expensive. The scientists insist that the costs and other issues can be addressed. While prototypes for the floating spools have cost about $18,000, the price would drop substantially if they were mass-produced, they say. Moreover, fishermen have a history of incorporating new technologies, such as moving from sailboats to powerboats and maps to GPS. The electronic transmitters would also replace the need for buoys — not only showing all lobstermen where traps are located, but allowing them to find their traps when strong tides or storms move them. Environmental advocates are watching closely as scientists develop more practical ropeless fishing gear, which have been used on a small scale in other fisheries. But they’re urging regulators to take action well before the technology matures, from closing more areas to requiring that lobstermen report where they set traps. The National Oceanic and Atmospheric Administration already closes off a large portion of the waters from Nantucket to Cape Ann from February through May, when right whales congregate in the area. “More immediate action . . . will be necessary to bring right whales back from the brink of extinction,” said Emily Green, an attorney at the Conservation Law Foundation, which recently filed a lawsuit against NOAA, urging the agency to do more to protect the whales. Mike Pentony, the regional administrator of NOAA, is monitoring the progress of the technology and said it’s possible that the agency could ultimately issue regulations requiring lobstermen to use ropeless traps. It’s also possible that the agency could help subsidize the transition, he said. “We could eventually get there,” he said. But for now, he said, the technology isn’t viable. “It’s simply not cost-effective,” Pentony said. In the meantime, the agency must consider other options, including requirements that some lobstermen use weaker rope that right whales can break through. Additional closures are also a possibility, though the agency has no plans to declare any soon, he said. The prospect of additional closures has some lobstermen open to the idea of ropeless fishing. 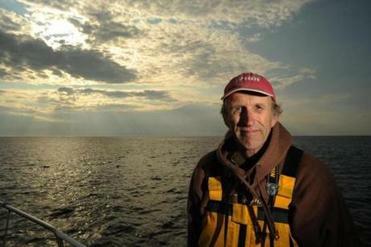 While Mike Lane counts himself as dubious as the others who heard out the scientists in Woods Hole, he worries about more closures in the future. If engineers can make cars drive themselves, he reasons, they can make lobster traps work without ropes.